Vaccine Fraud. Russell Blaylock M.D. So how much of this said claim is truth and real, and/or not real? Do we know? A search for the evidence. First of all, let me ask this. Why is it, that when the conclusions of actually peer reviewed studies are not in your favor as to the intended agenda bias, that even endless peer reviewed studies are not enough to get pro-vaccine people to take a look at and even read a single one of those studies; yet when there are limited to little to no existing peer reviewed studies, that they are jumping all over with demands to produce a peer reviewed study, to make such as any certain such as a vax-truth opposing persons point of contention, that has expressed? In regard to vaccines lets go to the issue of vaccine shedding, and ask the question as to can and do any of the current vaccines shed the pathogen in a way that could make a non vaccinated person susceptible to acquiring the illness from a vaccinated person. There are in Pubmed several but limited studies that address the shedding issue as to in regard to the various vaccines. Just use the search terms vaccine shedding Pubmed, and will you several but as said limited numbers references in the google listing, and then you can go to pubmed itself, which is somewhat as well limited for available references as to claiming one way or the other. As for the measles vaccine, one Pubmed reference stated that it the vaccine could shed for up to three days. Certainly long enough to infect another individual. So, actually and possibly no one really nor likely knows for sure what the complete truth is on this issue. It would seem to be common sense that the vaccine makers surely do not and would not want to know if their vaccine causes shedding or not; nor to find out. So then who would actually fund theses said studies. I think with what I read and reviewed in regard to vaccine shedding, just getting into even the beginning phase of the studies, tells me that vaccines do have a potential to shed irregardless of being bacterial or viral; which very well could be an obvious risk to the unvaccinated. I mean good grief, the existing studies clearly point to the push to vaccinate everyone due to the risk of shedding possibility. What more evidence would you need of the risk of the vaccinated, to the unvaccinated? And yet the pro-vaccine side wants to claim to just the opposite; and that it is only the vaccinated that are at risk from the unvaccinated??? You know accused again of reducing the vaccine derived herd immunity; even though the schools most often even today have no more than a 5% or less rate of existing school exemptions? We as well by the way are not are NOT just talking about the oral polio vaccine, here. They clearly know that the oral polio vaccine sheds and can as well cause numerous cases of AFP in the underdeveloped and unsanitary for conditions countries, that the oral polio vaccine is still used to day. They know of the identified mutations in the polio vaccine virus that the the said oral vaccine has very likely as well caused. if they have an alternative explanation, I have yet to hear and or read about it. So, let me ask you, have vaccines eradicated so called illness and disease, or have they just prolonged the exit, while creating only lower levels of chronic disease, and disease conditions? How about other unrelated chronic illness and autoimmune disease, unrelated to the vaccine targeted pathogen? 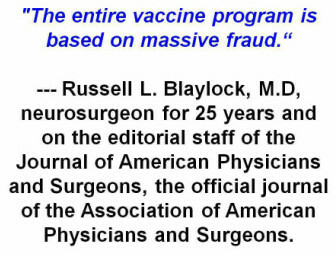 How about the pubmed listed as well references to the harm of aluminum adjuvants, causing overactivation of the brains microglia and resulting low levels of chronic brain inflammation resulting for repeat multiple vaccines, in some individuals; maybe more individuals and children that we have ever realized? How about the aluminum adjuvant connection to ASD? The studies, and new studies have shown that same brain inflammation to now be found in more and more children and individuals with ASD. And they want to tell us that vaccines have never been scientifically linked in any study, to ASD? Really? How about the MMR vaccine, in which there are actually some similar physiological pathways found in relation to ASD, and also which are in common with heavy metal toxicity, if not overload, in regard to both thimerosal, and aluminum adjuvants. I don’t know about you and what you think, but I think it is not looking good for the claim as to the issue of vaccines doing more good than harm. When will the CD stop living in the dark ages, and dragging their feet as to doing the proper studies? Yet they waste millions chasing the genetic link to ASD, and refuse all other types and forms of real research? I did pick one specific peer reviewed reference in regard shedding, that I thought was interesting, and a bit troublesome regarding risk. In regard to the shedding of course all they can come up with is to come up with that every last person existing must be vaccinated to protect them against the shedding. We tested 46 fully vaccinated children in two day-care centers in Israel who were exposed to a fatal case of pertussis infection. Only two of five children who tested positive for Bordetella pertussis met the World Health Organization’s case definition for pertussis. Vaccinated children may be asymptomatic reservoirs for infection. And they tell us the vaccines do not shed? How would this be possible if the vaccines do not shed anything contagious? And they want us to believe that the un-vaccinated are a risk to the vaccinated. Vaccine derived herd relatively and comparatively short term immunity, has never had any actual science behind it; and as to natural long term and/or life time immunity, where as that concept actually makes does sense. So what is the REAL reason they say they need vaccine derived herd immunity? Is it possible that it is more likely due to the issue of vaccine shedding? Now we are getting to some actual understanding of what possibly really goes on. An acellular whooping cough vaccine actually enhances the colonization of Bordetella parapertussis in mice; pointing towards a rise in B. parapertussis incidence resulting from acellular vaccination, which may have contributed to the observed increase in whooping cough over the last decade. And rarely are they testing for it nor even knowing understanding what pertussis pathogen strains are there. B parapertussis antigen is not in the current vaccine. And the fear mongering and the recommended boosters continue. They can admit to the pertussis vaccine failure in Pakistan, but the CDC can not and refuses to admit to that here happening in the US. Public Health. 2012 Jun;126(6):518-22. doi: 10.1016/j.puhe.2012.02.001. Epub 2012 Mar 23. Pertussis resurgence among vaccinated children in Khairpur, Sindh, Pakistan. Mughal A, Kazi YF, Bukhari HA, Ali M.
Source:Diagnostic and Research Centre, Department of Microbiology, Shah Abdul Latif University, Khairpur, Sindh, Pakistan. To investigate the aetiology of persistent cough among vaccinated children as suspected cases of pertussis in Khairpur District, Sindh, Pakistan. Pertussis or whooping cough, caused by Bordetella pertussis, is re-appearing in many countries despite vaccination coverage. In Khairpur, persistent cough and symptoms similar to pertussis among vaccinated children are common but the aetiology has not been investigated previously. B. pertussis was isolated from cough samples of suspected pertussis patients (n = 700) using the cough plate method with charcoal agar. Isolation and confirmation of the clinical isolates of B. pertussis was performed by culture on Bordet-Gengou medium, biochemical tests and polymerase chain reaction. In total, 22 strains of B. pertussis were isolated from clinical cough samples. To the authors’ knowledge, this is the first report of the presence of pertussis in vaccinated children in Khairpur. There is a need for continuous monitoring of pertussis after immunization programmes in order to assess the efficacy of pertussis vaccination. And what has the CDC done about it all? They have only continued with their fear mongering and falsely blaming the un-vaccinated. Cocoon tyle vaccinating whole families, and still the outbreaks occur. J Hyg (Lond). 1976 August; 77(1): 85–91. Prevalent serotypes of Bordetella pertussis in non-vaccinated communities. In many countries, the prevalent serotypes of Bordetella pertussis have changed from a mixture of types 1,2,3 and 1,2 (organisms possessing antigen 2) to a predominance of type 1,3. The timing of the change in different countries is shown to be related to the introduction of mass-vaccination with material rich in antigens 1 and 2 but weak in, or devoid of, antigen 3. In several parts of the world, there have been outbreaks of type 1,3 infection in fully vaccinated children. Non-vaccinated communities in various parts of the world still show the pattern of serotypes which existed elsewhere before mass-vaccination. In order to avoid the disappointments experienced in the past, it is essential that pertussis vaccine for use in previously non-vaccinated communities, like that for any other country, should be rich in each of the three antigens. Our results suggest that the B. pertussis gene repertoire is already well adapted to its current niche and required only fine tuning to persist in the face of vaccination. Further, this work shows that small mutations, even single SNPs, can drive large changes in the populations of bacterial pathogens within a time span of six to 19 years. You can not patent vitamin C, as you can an expensive drug or vaccine. Modern medicine is NOT about the actual health of your child, unless it can be done with chemical pharma. Here is what they already knew years ago in the treatment of pertussis. Can Med Assoc J. 1937 August; 37(2): 134–136. The short series of cases presented is too small to draw any statistical conclusions, but one fact stands out. Ascorbic acid has a definite efTect in shortening the period of paroxysms from a matter of weeks to a matter of days. We have not checked by cough plates or otherwise in this preliminary work to see whether the infectivity subsides simultaneously with the spasmodic symptoms, but are continuing with a larger series of cases in which these and other tests will be employed. The dosages used have been empirical, with a tendency to use larger doses early in the disease as our experience of its effects progressed. The acid is available at reasonable prices, and the danger of overdosage seems negligible. Animals have received 2,000 times their estimated requirements without any deleterious effects. Any excess is excreted by the kidneys. Pertussis is a bacteria, but either way it is beneficial. Another below is another example of a failed effort with polio vaccine. It does little good to claim to have eliminated a certain number of previously present cases of polio, while at the same time causing massive cases of polio vaccine derived paralysis. 47,500 new cases. Yet they claim this is NECESSARY, to eradicate polio. They refuse to admit any failure, it seems to me? Source:Department of Paediatrics, St Stephens Hospital, Delhi 110054, India. “The only difference is that this virus was originally in a vaccine vial,” said Olen Kew, a virologist at the U.S. Centers for Disease Control and Prevention. “Nigeria is almost a case study in what happens when you don’t follow the recommendations,” Kew said. A mutation from a live polio vaccine is stalking Nigeria. In a strange twist of logic, experts are claiming that it mutated as it passed through non-immunized children. The claim is that children given the live attenuated oral vaccine are properly immunized, but the live virus passes through them and enters local water supplies through their urine or feces. Then, children who have not been immunized pick up the supposedly safe virus by drinking or playing in the water. The weakened virus mutates in them, becoming a new virulent strain. Why the virus would choose to mutate in non-vaccinated, rather than vaccinated, children is unexplained. Even odder is why the weakened virus would pass through the vaccinated children. If the purpose of a live attenuated vaccination is to force the body to develop antibodies to the virus, then why would live viruses be excreted? Shouldn’t they be killed by the newly-developed antibodies? This sounds much like the argument that blames nonvaccinated people for disease in those who’ve submitted to innoculations. If the vaccines are effective, then why would the vaccinated be at risk from the unvaccinated? Point mutations involved in the attenuation/neurovirulence alternation in type 1 and 2 oral polio vaccine strains detected by site-specific polymerase chain reaction. Look at the unbelievable statements in the next set of information. So ask, WHY are they using a live and shedding viral vaccine, in these contaminated areas, at all? Conclusion: OPV, primarily serotype 2, was detected in sewage as late as 7 months after an NIW in a Mexican community primarily vaccinated with IPV, but was not detected at 8 months, suggesting that OPV circulation may have ceased. VAPP mutants were predominantly detected. This data suggests that in communities with high vaccination rates, one or two years of IPV administration after OPV cessation could be sufficient to prevent outbreaks of paralytic poliomyelitis from vaccine-derived strains. The polio vaccine isn’t protecting children – and, worse, it appears to be causing a new and sometimes fatal form of the disease. Concerns about the vaccine have arisen following a high number of deaths and hospital admissions from encephalitis and polio in the Uttar Pradesh region of India – where there has been an intensive vaccination programme. Around 400 children have died, and a further 2,300 admitted to hospital, following an outbreak of a new form of viral encephalitis, and doctors admit they do not know its cause. But the latest study raises the frightening possibility that the vaccine strain can also regain the ability to spread between people more easily than thought. “It demonstrates clearly that the vaccine virus can spread from person to person,” says Olen Kew from the Centers for Disease Control and Prevention in Atlanta, Georgia. The outbreak was exacerbated by the fact that Haiti had relaxed its polio vaccination program more than five years earlier. “It’s a warning that you need to have good coverage to prevent vaccines from running away like this,” Kew says. The study also shows how difficult it will be eliminate polio entirely. For this to be achieved, natural polio would first have to be wiped out through stringent use of the oral polio vaccine. Then all countries could simultaneously stop vaccinating or switch to a different vaccine – injectable, dead polio virus. This method does not confer as much immunity as the oral vaccine, but it cannot revert to a disease-causing form. This vaccine is already used in the US and much of Europe. This again points to the claim that they think they need to get 100% vaccine coverage in ever country with existing polio, and only then it may be possible to stop polio, but yet they know they will have the mutations still going on and the result of that is in their minds quite obviously only necessary collateral damage, so to speak. So, as long as they can keep blaming it all on the unvaccinated, which is not exactly proven; it is an assumption. And as long as they keep playing Russian Roulette with the vaccine virus; in the hopes that it does not continue to mutate to a point of becoming a super virus world wide. But in the end, the with the known odds that have been and in the resulting outcomes; clearly it all shows this plan to be not only failing and dangerous; but even currently, is likely causing more harm than good; and will continue to. J Clin Microbiol. 1995 Sep;33(9):2485-8. Rota PA, Khan AS, Durigon E, Yuran T, Villamarzo YS, Bellini WJ. 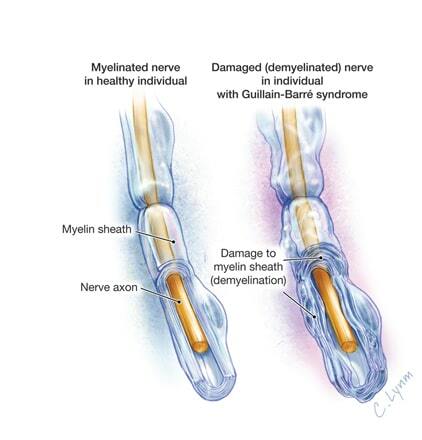 Source: Division of Viral and Rickettsial Diseases, Centers for Disease Control and Prevention, Atlanta, Georgia 30333, USA. You see in the next below link that it ALL depends on who has done the study, as for if they find the evidence of shedding due to a/or the vaccine. Here we have the Journal of Infectious diseases that is closely aligned with pharma and Offit’s CHOP. And they of course find predicable no shedding. Can you imagine the upset if they had, and presented to the CDC with that? Clearly, is not happening. J Infect Dis. 2004 May 1;189 Suppl 1:S165-70. Lack of evidence of measles virus shedding in people with inapparent measles virus infections. So, the pro vaccine side again claims to what? Well if there are no studies to prove that the vaccines cause shedding, then it simply doesn’t happen. Just like in regard to the vaccine aluminum adjuvants; if no studies have ever been done, then we can proclaim that there is no scientific proof of the harm, thus there is no said harm being done. J Clin Microbiol. 2008 Mar;46(3):1101-3. Epub 2008 Jan 9. Detection of RNA of mumps virus during an outbreak in a population with a high level of measles, mumps, and rubella vaccine coverage. Bitsko RH, Cortese MM, Dayan GH, Rota PA, Lowe L, Iversen SC, Bellini WJ. Source:Epidemic Intelligence Service, Office of Workforce and Career Development, Centers for Disease Control and Prevention, Atlanta, GA 30333, USA. The duration of mumps virus RNA detection was studied during a mumps outbreak in a highly vaccinated university population. Seven of the eight reverse transcription-PCR-positive specimens were collected during the first 3 days of parotitis, suggesting that viral shedding is minimal after the first 3 days of symptoms. However, in three days, you could infect 100’s of people. General Index: But as you can see, very few actual studies on vaccine shedding have been done. Secondary Transmission: The short and sweet about live virus vaccine shedding. (A short list of the evidence of shedding in regard to each specific vaccine). Acta Paediatr Jpn. 1995 Jun;37(3):374-6. Measles encephalomyelitis in a patient with a history of vaccination. Clin Infect Dis. 1999 Oct;29(4):855-61. Acute disseminated encephalomyelitis with probable measles vaccine failure. I would take my chances with natural infection and recovery, any day; over that of the use of a vaccine, or in this and the most common case, the MMR vaccine..
STATINS, the controversial heart drugs, add only three days to a patient’s life, research reveals. The study contradicts the widely held view that they save lives and last night health experts demanded a radical overhaul in the use of the drugs – which have been linked with severe and debilitating side-effects such as diabetes, muscle pain and cataracts – claiming the research reveals patients have been “misled” over “exaggerated” benefits. The British Medical Journal, which published the findings, called for a review of prescribing guidelines for statins which are routinely given to up to 12 million patients. Statins increased life expectancy by just three days for those people who did not already have a diagnosis of existing heart disease or associated symptoms. Patients who had already suffered a heart attack, stroke or associated symptoms increased their longevity by four days by taking statins. However, he said more research was needed to confirm his findings. His team is now carrying out work to assess whether statins reduce the risk of non-fatal heart attacks and strokes. Earlier this year this paper revealed statins have been linked to almost 20,000 reports of side-effects – including muscle pain, cataracts, liver dysfunction, diabetes, fatigue and memory loss – and 227 deaths. Doctors are currently recommended to prescribe statins for anyone who has a 10 per cent risk of heart disease within a decade. It is no secret that US healthcare corporations have been among, if not the biggest beneficiaries of Obamacare: by “socializing” costs and spreading the reimbursement pool over the entire population in the form of a tax, pharmaceutical companies have been able to boost medical product and service costs to unprecedented levels with the help of complicit insurance companies who have subsequently passed through these costs to the consumer, in the process sending the price of biotech and pharma stocks to levels not seen since the dot com bubble. But when it came to the highly confidential TPP, it was unclear just which corporations were dominant in pulling the strings. As RT notes, the latest disclosure links the Healthcare Annex to the secret draft of the quite aptly-named “Transparency” Chapter of the TPP, along with each country’s negotiating position. The leaked “Annex on transparency and procedural fairness for pharmaceutical products and medical devices” is dated from December 2014, with the draft being restricted from release for four years after the passage of the TPP into law. Worse, while in the US the rising healthcare costs are at least spread across a broader social safety net, the TPP is targeting countries where the potential jump in drug prices will have dramatic effects. As the NYT notes, “foreign governments and health care activists have accused pharmaceutical giants, mostly based in the United States, of protecting profits over public health, especially in poor countrieswhere neither the government nor consumers can afford to pay rates anywhere close to those charged in wealthier nations. “That fight re-emerged in the Pacific trade negotiations, which involve countries with strong cost-containment policies, like New Zealand, as well as poor countries like Peru and Vietnam.The agreement “will increase the cost of medicines worldwide, starting with the 12 countries that are negotiating the Trans-Pacific Partnership,” said Judit Rius Sanjuan, a lawyer at Doctors Without Borders, a humanitarian organization that provides medical care in more than 60 countries. 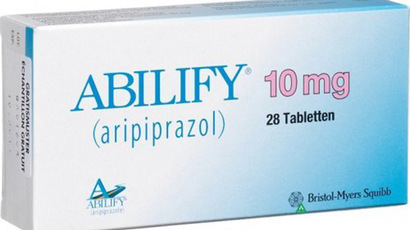 The secret negotiations now allegedly reveal that Australia’s Pharmaceutical Benefits Scheme might be undermined, pushing up the cost of medicines in the country. the Sydney Morning Herald wrote. The leaked TPP document “shows that the pact could expose Medicare to pharmaceutical company attacks and constrain future policy reforms, including the ability of the US government to curb rising and unsustainable drug prices,” the US consumer rights advocacy group and think tank Public Citizen said in its Wednesday statement. In other words, in exchange for a few million in lobby spending, aka bribes, by Big Pharma, the US Congress has once again sold out the US population, and this time it even voluntarily bypassed even the mock democratic process of debating the law it will pass. “The transparency annex in T.P.P. is not subject to Investor-State Dispute Settlement, and nothing in its provisions will undermine our ability to pursue the best health care policy for Americans, including any future action on health care expenditures and cost containment,” a trade representative spokesman said. Those Americans who may wish to challenge the claim well, they are out of luck: Congress is about to make sure there is no way anyone can have a say into what big corporations have in store for the US population. This is quite disturbing, given the fact that all of these studies (which are industry sponsored) are used to develop drugs/vaccines to supposedly help people, train medical staff, educate medical students and more. It’s common for many to dismiss a lot of great work by experts and researchers at various institutions around the globe which isn’t “peer-reviewed” and doesn’t appear in a “credible” medical journal, but as we can see, “peer-reviewed” doesn’t really mean much anymore. “Credible” medical journals continue to lose their tenability in the eyes of experts and employees of the journals themselves, like Dr. Horton. He also went on to call himself out in a sense, stating that journal editors aid and abet the worst behaviours, that the amount of bad research is alarming, that data is sculpted to fit a preferred theory. He goes on to observe that important confirmations are often rejected and little is done to correct bad practices. What’s worse, much of what goes on could even be considered borderline misconduct. I apologize if you have seen it before in my articles, but it is quite the statement, and it comes from someone who also held a position similiar to Dr. Horton. This is just one of many examples, and alludes to one point Dr. Horton is referring to, the ommision of data. For the sake of time, I encourage you to do your own research on this subject. I just wanted to provide some food for thought about something that is not often considered when it comes to medical research, and the resulting products and theories which are then sold to us based on that research. It’s truly a remarkable time to be alive. Over the course of human history, our planet has experienced multiple paradigm shifting realizations, all of which were met with harsh resistence at the time of their revelation. One great example is when we realized the Earth was not flat. Today, we are seeing these kinds of revelatory shifts in thinking happen in multiple spheres, all at one time. 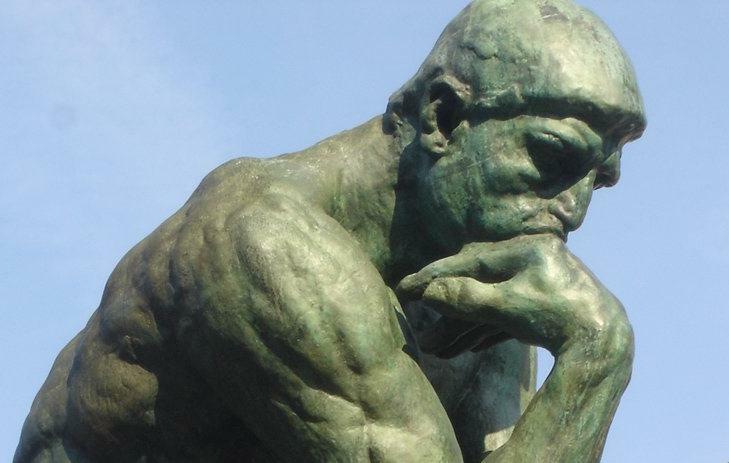 It can seem overwhelming for those who are paying attention, especially given the fact that a lot of these ideas go against current belief systems. There will always be resistance to new information which does not fit into the current framework, regardless of how reasonable (or factual) that information might be. “Animal studies strongly suggest that these drugs can produce brain damage, which is probably the case for all psychotropic drugs,”he said. Michael Dwyer, of Cork University’s School of History, found the child vaccination data by trawling through tens of thousands of medical journal articles and archive files. He discovered that the trials were carried out before the vaccine was made available for commercial use in the UK. Homes where children were secretly tested included Bessborough, in Co. Cork and Sean Ross Abbey in Roscrea, Co. Tipperary, both of which are at the centre of the mass baby graves scandal. 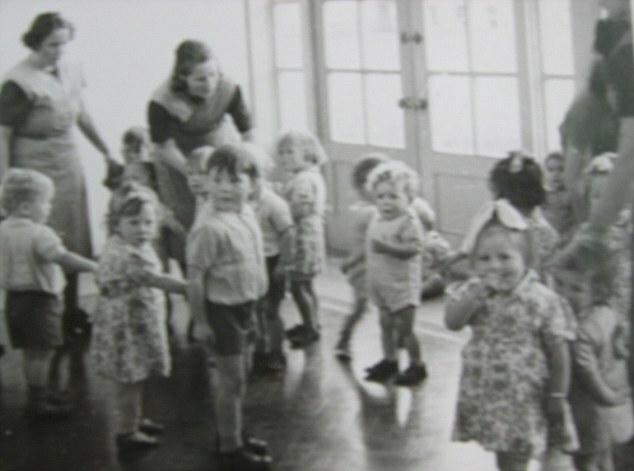 Other institutions where children may also have been vaccinated include Cork orphanages St Joseph’s Industrial School for Boys, run by the Presentation Brothers, and St Finbarr’s Industrial School for Girls, run by the Sisters of the Good Shepherd. 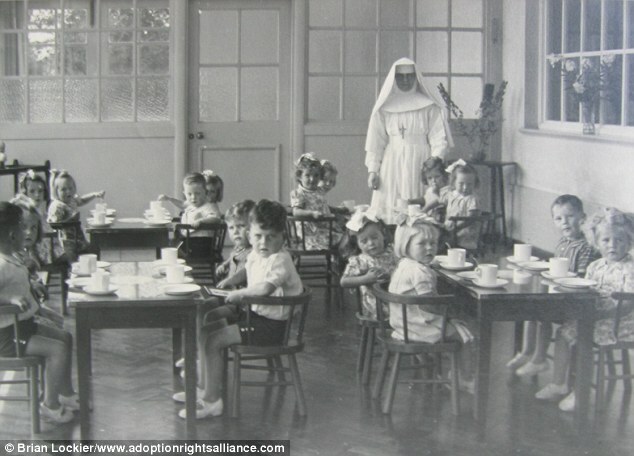 In Dublin, it is believed that children for the trials came from St Vincent’s Industrial School, Goldenbridge, St Joseph’s School for Deaf Boys, Cabra, and St Saviours’s Dominican Orphanage. But Mr Dwyer said: ‘What I have found is just the tip of a very large and submerged iceberg. ‘The fact that no record of these trials can be found in the files relating to the Department of Local Government and Public Health, the Municipal Health Reports relating to Cork and Dublin, or the Wellcome Archives in London, suggests that vaccine trials would not have been acceptable to government, municipal authorities, or the general public. A spokesman for GSK – formerly Wellcome – said: ‘The activities that have been described to us date back over 70 years and, if true, are clearly very distressing. A spokeswoman for the Sisters of Sacred Hearts of Jesus and Mary, the order that ran Bessborough and Sean Ross Abbey, said that like GSK, they would also welcome an independent inquiry. 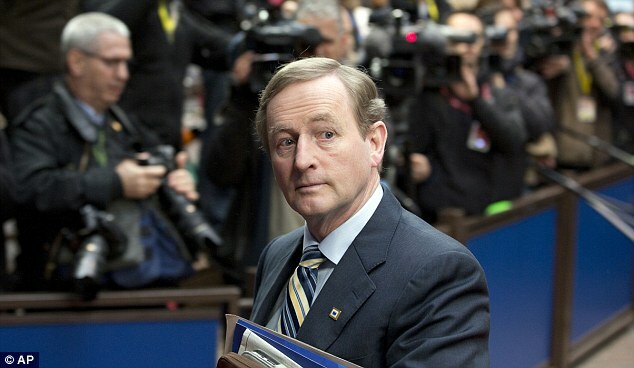 Fianna Fáil leader Micheál Martin called on the Irish government to add vaccine trials into the investigative remit of any inquiry into the mother and baby homes. 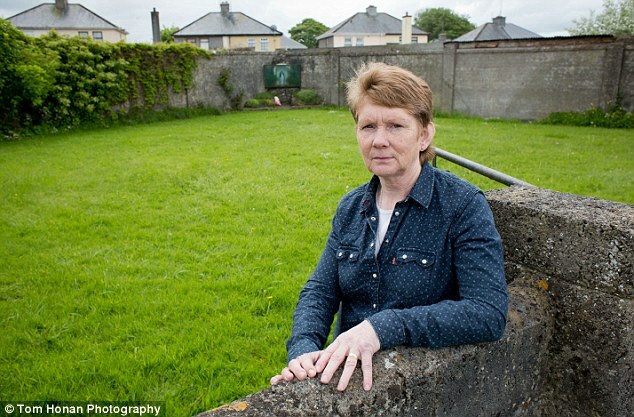 Historian Catherine Corless, whose discovery of the suspected mass baby grave at Tuam was revealed by the Mail earlier this week, said her study of death records for the St Mary’s home run by Catholic Bon Secours nuns from 1925-1961 pointed to the existence of the mass grave. 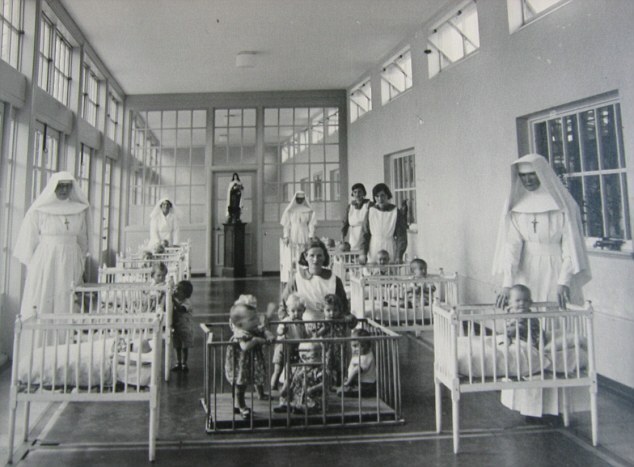 St Mary’s was one of several such ‘mother and baby’ homes for ‘fallen women’ who had become pregnant outside marriage in early 20th century Ireland. 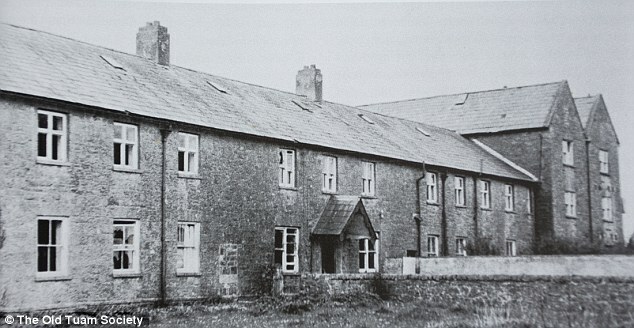 Another such institution was the Sean Ross Abbey in Tipperary, was where Philomena Lee gave up her son for adoption in the 1950s. 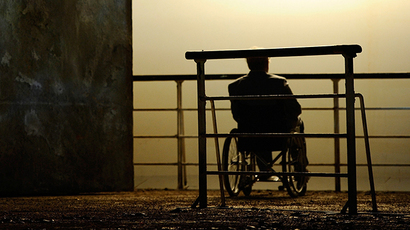 Her story was made into the Oscar-nominated film ‘Philomena’ last year. 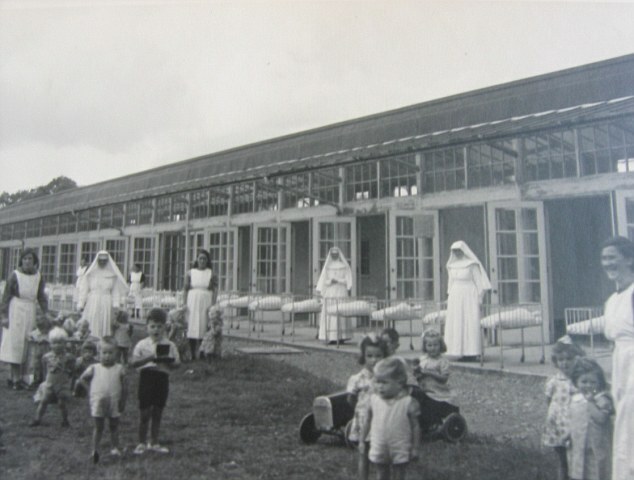 The ‘mother and baby’ homes accommodated women who were ostracised from their own families and had nowhere else to turn. Under conservative Catholic teaching of the time, children born outside of marriage were not baptised and were therefore denied a Catholic burial on consecrated ground. A child’s scratched knee from falling off their bike, common bladder infections among the elderly in care homes and routine surgery to replace broken hips could all become fatal as antibiotics are becoming increasingly useless, the World Health Organisation has said. 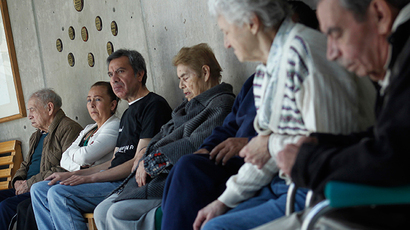 The crisis is bigger and more urgent than the Aids epidemic of the 1980s, it was warned. UK experts said the ‘era of safe medicine is coming to an end’ and government funds must be pumped into the production of new drugs. He said modern medicine, fromthe treatment of urinary tract infections and pneumonia in babies to chemotherapy and kidney dialysis are under threat. “This is not an abstract problem. We have a big problem now and it is going to get bigger. “What do we do when we have infections we cannot treat or when we lose the ability to protect people when having chemotherapy? I think there are very concrete implications, ” he said. The report, Antimicrobial resistance: global report on surveillance, focuses on antibiotic resistance in seven different bacteria responsible for common, serious diseases such as sepsis, diarrhoea, pneumonia, urinary tract infections and gonorrhoea. It is the most comprehensive picture of drug resistance across the globe with data from 114 countries. It found that antibiotic resistance is present in all areas of the world and is growing. Over the last 30 years no new types of antibiotics have been developed, the WHO said. Dr Danilo Lo Fo Wong, Senior Adviser Antimicrobial Resistance at WHO Europe, told the Telegraph: “A child falling off their bike and developing a fatal infection would be a freak occurrence in the UK but that is where we are heading. The report comes after England’s Chief Medical Officer, Dame Sally Davis, said the issue ‘scared’ her and called for greater restriction of antibiotics and incentives for pharmaceutical companies to produce new medicines. Professor Laura Piddock, Director of Antibiotic Action and Professor of Microbiology at University of Birmingham said: “The world needs to respond as it did to the Aids crisis of the Eighties. She said governments need to pump money into research to develop new drugs and added that UK funding on antibiotic research as dropped to less than one per cent of available research funds. Dr Lo Fo Wong warned that antibiotic resistance was bigger than the 1980s Aids crisis because “everyone is potentially in danger”. 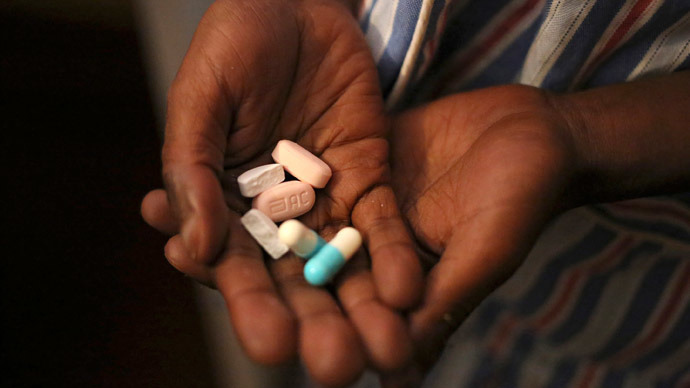 The report highlighted drug resistance in viral infections also, such as HIV treatments, Tamiflu which is used to combat flu during epidemics and in some fungal infections. Dr Paul Cosford, Director for Health Protection and Medical Director at Public Health England, said: “Whilst the UK does not have the levels of antibiotic resistance seen in some parts of the world we do see patients with infections resistant to antibiotics and we take these very seriously. Members of the public, health workers and pharmacists, and policymakers could all play a part in fighting the superbugs, said the WHO. Patients could help by only using antibiotics when they were prescribed by a doctor, making sure they completed the full course of treatment even if feeling better, and never sharing antibiotics or using left over prescriptions. Health professionals were reminded only to prescribe and dispense antibiotics when they are truly needed and to ensure the right drugs were used for particular infections. Antibiotic use in food production can be reduced, Dr Fukuda said, and better diagnostic tests need to be used in health care so drugs can be focused on those infections they will be most effective against. The rise of antibiotic resistance will mean patients will spend longer in hospital, incurring greater costs for health care systems globally, Dr Fukuda said. BIRMINGHAM, AL — Parents of a healthy newborn infant were told to consent to injecting him with drugs or lose him to the state. This successful blackmail scheme was made possible by the state’s horrifying ability to seize children without due process. Aliea Bidwell and Ben Gray became new parents on March 14th, 2014. Their experience turned from joy to dismay when their parenthood was already being threatened on their son’s first day outside of the womb. Ben and Aliea gave a detailed account of their experience to The INQUISITR. When the parents expressed their desire to forgo vaccines for their hours-old baby, they drew the ire of a particularly nasty staff member at St. Vincent’s Hospital. A pediatrician named Dr. Terry M. Bierd allegedly told the parents that they would either submit their son, Aaron, to a Hepatitis B vaccine or else she would call Alabama’s Child Protective Services (CPS) to report them as negligent parents. The threat was very real, in a system which allows families to be split apart without a trial, without evidence, without a defense, without a jury — without a law even being broken. As the parents balked, the threat was repeated throughout the day and made in front of a dozen family members, The INQUISITR reports. A time was set for the ultimatum to expire. Dr. Bierd allegedly said that once Aaron was in the hands of social workers, he would be injected immediately and it would be difficult for them to get him back. It should be noted that there is absolutely no law requiring vaccines of any kind for any newborn. Declining vaccines at birth is common and completely within the rights of the parents. Even when children become of age for public school, there are exemptions to the vaccine suggestions in all 50 states. The absence of any legal footing has not stopped the social workers from seizing children over medical disagreements before. Pennsylvania parents Scott and Jodi Ferris found themselves in a nearly identical situation recently. When they refused an injection for their baby girl, Mr. and Mrs. Ferris were thrown out of the hospital and the girl was taken into state custody — based only on the whims of a social worker. In light of the intimidating circumstances, Ben and Aliea complied with the doctor’s demands, doing so under duress. Although the Gray family didn’t have to deal directly with the state, Dr. Bierd’s threats coupled with the existence of the unaccountable child-snatching agency was enough to coerce their parental decision making. Its not even clear if Dr. Bierd will face any consequences. Parents need to beware of the profound implications that exist for their families when they come into disagreements with professional control-freaks.